Holly at Fort St. Joseph's Ed Days in Niles. 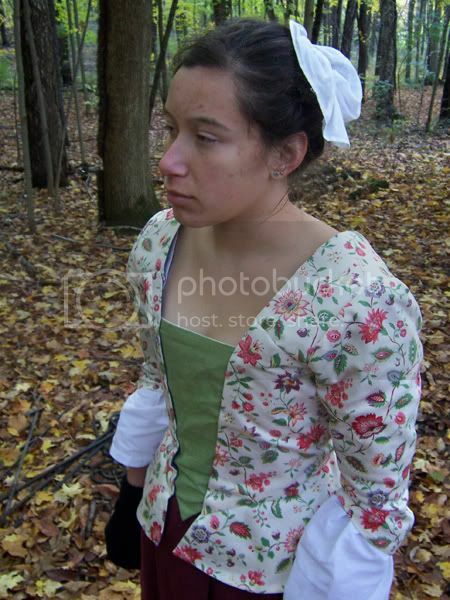 As a non-sewing member of Les Proches de la Grande Tortue, Holly needed a French & Indian War outfit, and she needed someone to make it for her. As her sewing sister, I obliged. The pattern was draped directly on Holly, over her stays, and made up in a cotton print leftover from my senior project. It's lined in a blue linen/cotton blend, just because. 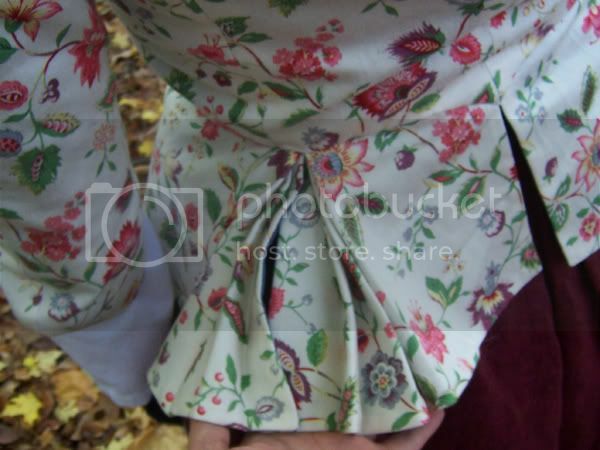 Each of the four pieces of the peplum was made separately and attached to the bottom of the bodice with a fell stitch, and then the lining was installed by hand afterwards to enclose all the raw edges. The front is heavily interfaced to keep the edges stable and straight over the stomacher. the stomacher is green linen lined in muslin, pinned straight to Holly's stays, and the jacket is pinned over the stomacher. 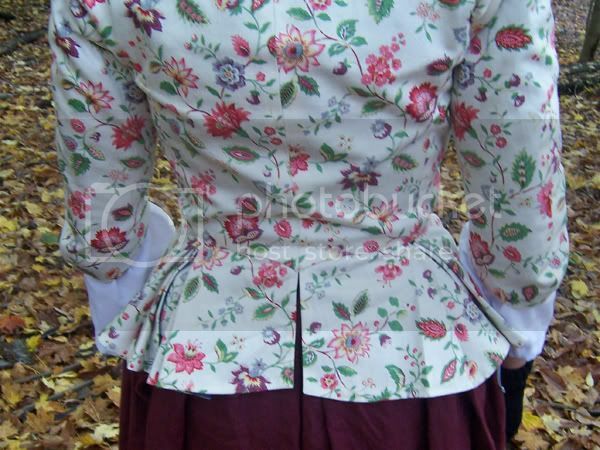 I also made Holly's petticoat, of which you can catch a small glimpse. It's a port-colored linen from Fabrics-Store. Also, I was very fortunate that Holly allowed me to take these pictures--the weekend at Fort St. Joseph was extremely cold and she was gracious enough to come out from under her multitude of shawls and blankets for photos!